Modern technology is providing a glimpse into the world’s oldest surviving culture, with 3D digital scanning and virtual reality re-creating a 6,500-year-old archaeological site in Newcastle, Australia. Approximately 5,500 various artefacts removed from a small, rectangular dig roughly the size of a family swimming pool reveal that the area was once a work site for Aboriginal people. 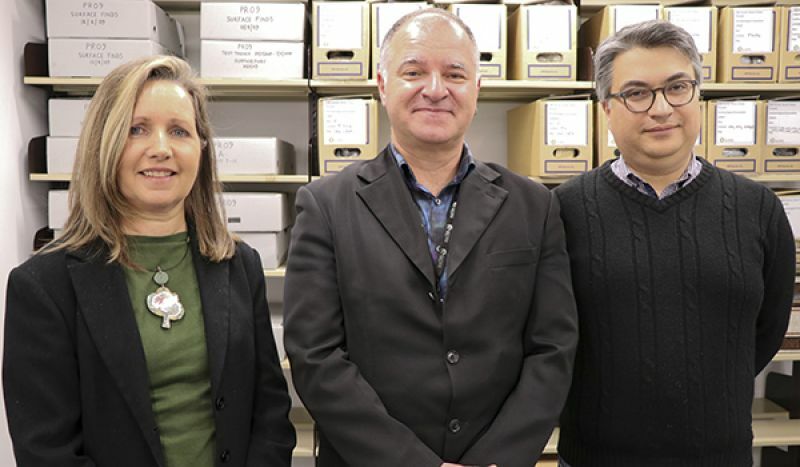 Archived in the University of Newcastle Cultural Collections, the artefacts have been brought off the shelf and into the 21st Century by this exciting new project. 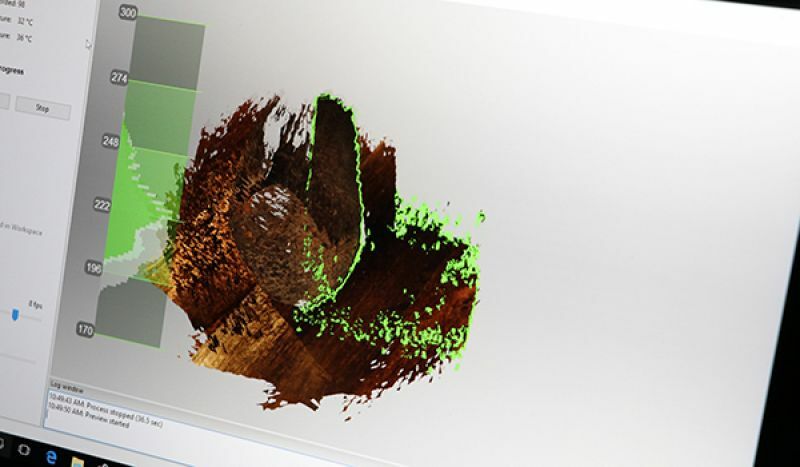 With the permission of Traditional owner groups, a 3D scanning facility was established to digitise the artefacts and transform them into a Deep Time virtual reality experience. Undertaken within the University’s GLAMx (i.e., Galleries, Libraries, Archives and Museums) Digitisation Lab in collaboration with the IT Innovation Team, almost 50 stone tools have been painstakingly scanned and uploaded into the digital platform. 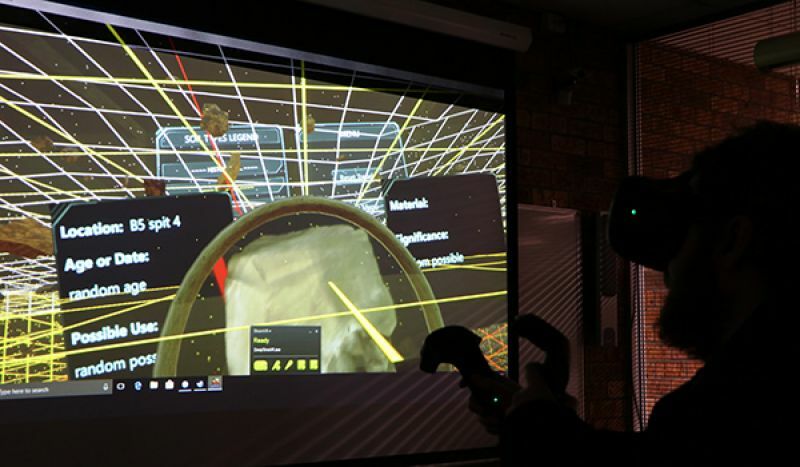 By placing a virtual reality headset on, the user is transported two metres underground into a virtual dig where they can use hand controls to inspect the individual objects suspended amongst grid-like layers. University Archivist, Mr Gionni Di Gravio, said the objects were given a call number and accompanying information to maintain accuracy. “We’ve tried to create a 3D representation of the dig at Newcastle West by placing the scanned artefacts back into their original positions as they were found when the dig was underway,” Mr Di Gravio said. Living Histories Coordinator, Dr Ann Hardy, said that the process of digitising and making artefacts accessible is contributing to new knowledge about our culture and society. “This project has revealed that Aboriginal people existed here six-and-a-half thousand years ago and has brought new knowledge that it was a place of industry,” Dr Hardy said. Senior lecturer and Indigenous historian at the University’s Wollotuka Institute, Dr Greg Blyton, said that Australia still needs a legitimate history of all its people and that technology may be a way to better understand the past. 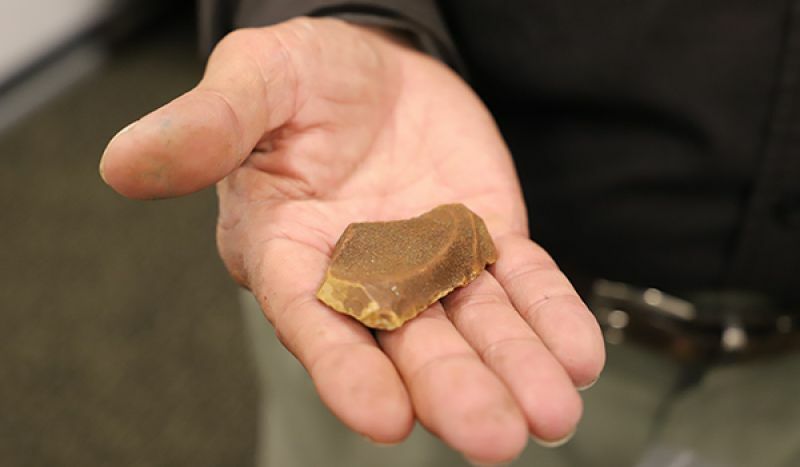 “These are not just stones and rocks, they are the living and breathing products of a culture and a people that was changing and evolving all the time,” Dr Blyton said. While scanning each artefact only takes a few minutes, Dr Hardy explained there are a number of stages to the digitising process and most work happens in post-production. “We’ve begun with the larger artefacts and each item is placed on a rotating plate inside a small light box where they are scanned on each side with a handheld scanner,” Dr Hardy said. 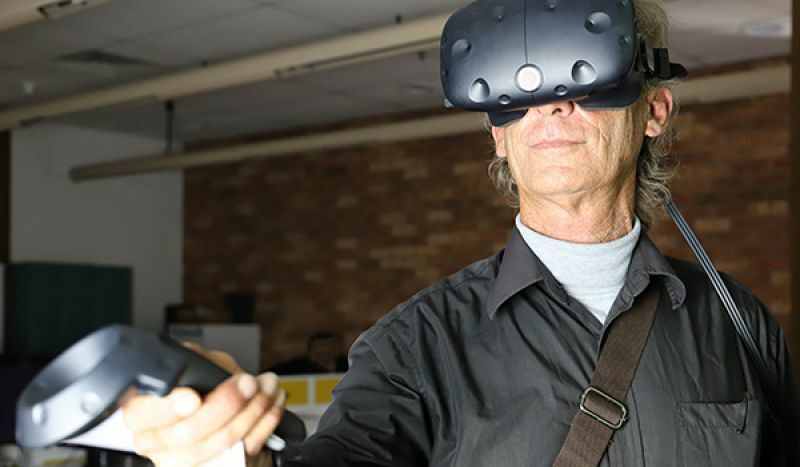 Underway for over a year now, the Deep Time VR project has been a tool for student development and a University-community engagement tool. “Deep Time is a digital humanities project and involves many disciplines to help build new knowledge about Aboriginal cultures. 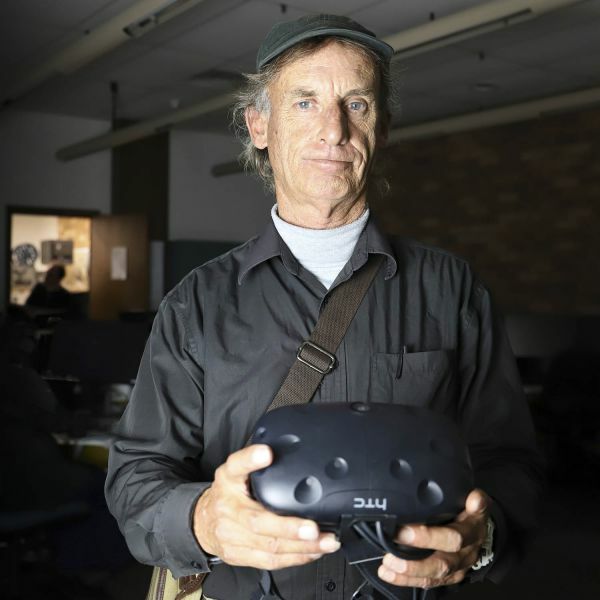 We’ve had students volunteer on the project as part of work integrated learning (WIL), and many individuals and groups have visited us from the community to experience the VR,” Dr Di Gravio said. 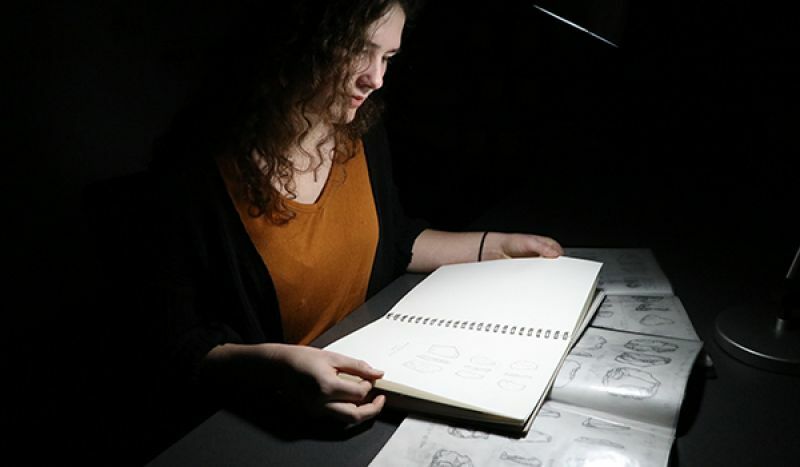 The intricate detail of artefacts too small to be scanned have been documented by Natural History Illustration student, Emma Heath, who sketched 300 artefacts from three different angles with scientific accuracy. “I got brought into the project originally to draw the stone artefacts that the 3D scanner couldn’t capture. I started with about 30 artefacts that were Bondi points or Microliths and ended up drawing about 300,” Emma said. Dr Hardy said 3D technology is changing the way people think about what can be digitised. “Many different cultural items have been locked up for decades. It’s only been recently with the changes in technology and digitising artefacts that we’ve been able to share them with the community,” Dr Hardy said. University Conservator, Dr Amir Moghadam, said that digital technology and big data will also enable the ongoing contextual understanding of historically significant sites and artefacts. “Accordingly, we are moving towards including more sites so that we could analyse and compare sites from historical evolution perspective” Dr Moghadam said. Recognising the broader applications of the technology, the project team are working to create the foundations of a tool that can be exported and shared with the wider community. “We would love to be able to take what we’ve got here at the University and have it accessible in a school environment for example. A 3D experience could be of anything, from posters and photographs to oral history or films,” Mr Di Gravio said. Dr Hardy said Deep Time VR has also opened up an area of potential research to compare different Indigenous sites and has global application. “We can compare this Aboriginal collection of stone tools with other sites on the east coast and throughout Australia, or even with the stone tools found in other cultures around the world, to better understand geological time,” Dr Hardy said.